As mentioned in my entry on the Bow Summit hike, the opportunity to spend a couple days around Calgary arose when an unexpected break in my work came up. I got on the phone and arranged with my uncle to have Jamie and myself stay at his place. Quite a slick arrangement on short notice and my uncle was a gracious host. I have been itching to get back in to the badlands around Drumheller because I have many more interests since last visiting the area. On the morning of July 25th, after a bit of a sleep-in, Jamie and I made our way northeast to Drumheller and had to run a couple errands before finding an area to explore. We promised we would get back to Calgary by 6 p.m., so we were a little limited with just a little over four hours to wander around in a couple coulees. We picked a random spot just north of town, pulled off to the side of the road, and just started wandering around. 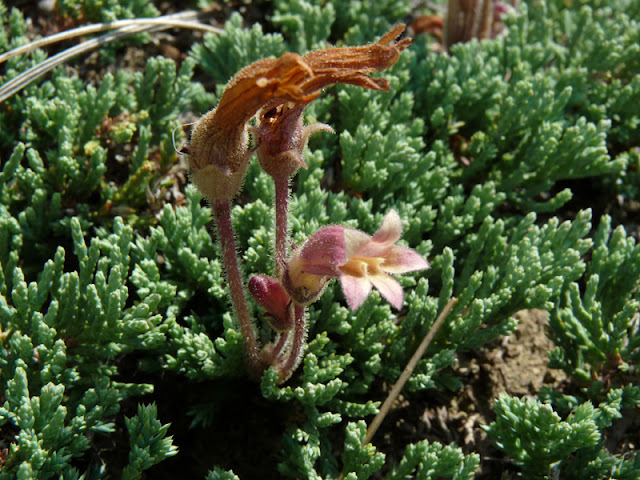 We immediately found several plants that were new to Jamie, the most exciting of which was Suksdorf's Broomrape (Orobanche ludoviciana). 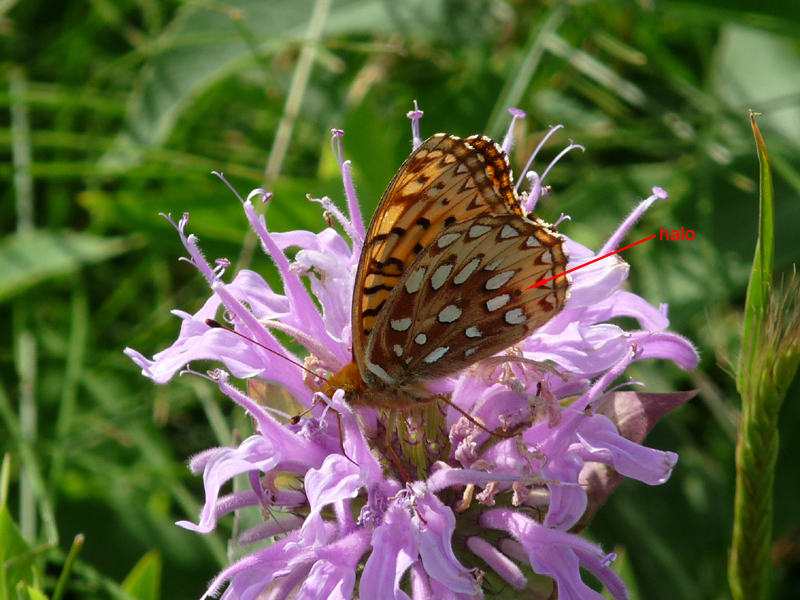 We also enjoyed seeing White Prairie-Clover (Petalostemon candidum), Purple Prairie-Clover (P. purpureum), Prairie Coneflower (Ratibida columnifera), Dotted Blazing Star (Liatris punctata), and Rhombic-leaved Sunflower (Helianthus pauciflorus subrhomboideus). For some reason I didn't bring my camera along for the first portion of the outing, so I didn't get photos of any of those plants at this stop. We moved a little further down the road and when we hopped out, I made sure to get my camera. I am glad I did because I came across my first ever Sagebrush Checkerspot (Chlosyne acastus) and it was being very cooperative! We continued exploring the roadside coulee, finding many pieces of petrified wood and the odd dinosaur bone fragment - it's amazing to think of the history of the location and each fossil you hold in your hand! 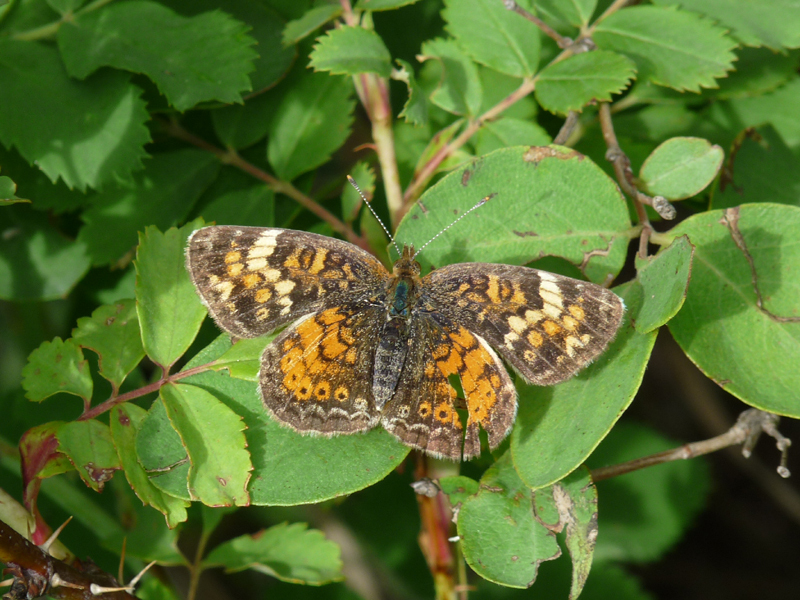 We didn't find any more interesting plants in this area, but we did find a couple of Pearl Crescents (Phyciodes tharos) in a patch of shrubs. A little search through the weedy roadside habitat before getting back in the car turned up a nice Clover Looper Moth (Caenurgina crassiuscula) and Jamie's lifer Striped Hairstreak (Satyrium liparops). 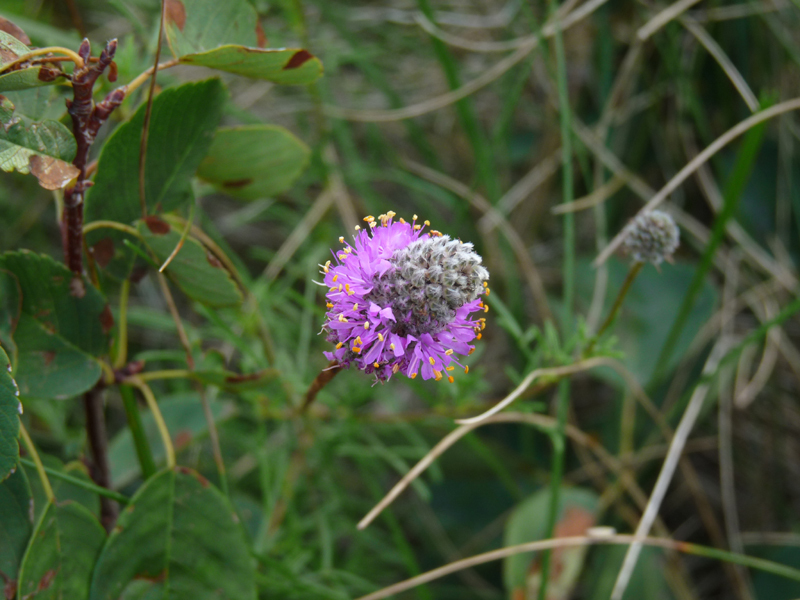 On the way back to Calgary, we made one quick stop in a patch of vaguely natural prairie and managed to find more nice plants. 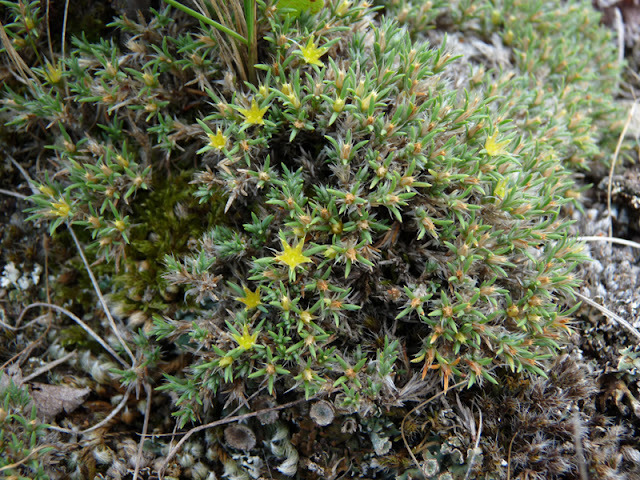 Purple Prairie-Clovers put in another appearance and a small rock outcrop had a nice patch of Low Whitlow-wort (Paronychia sessiliflora) that easily could have been missed. The next day we decided to try our luck around the town of Black Diamond in hopes of finding a combination of grasslands and parkland. We found an intriguing grassy slope just west of town and accessed it via the Friendship Trail. The slope had a great deal of promise and we soon found a couple gems, such as Clustered Broomrape (Orobanche fasciculata) and our lifer Dione Copper (Lycaena dione). In British Columbia, Dione Coppers are known from only a couple locations around Cranbrook and I haven't had the opportunity to visit them in the right period. 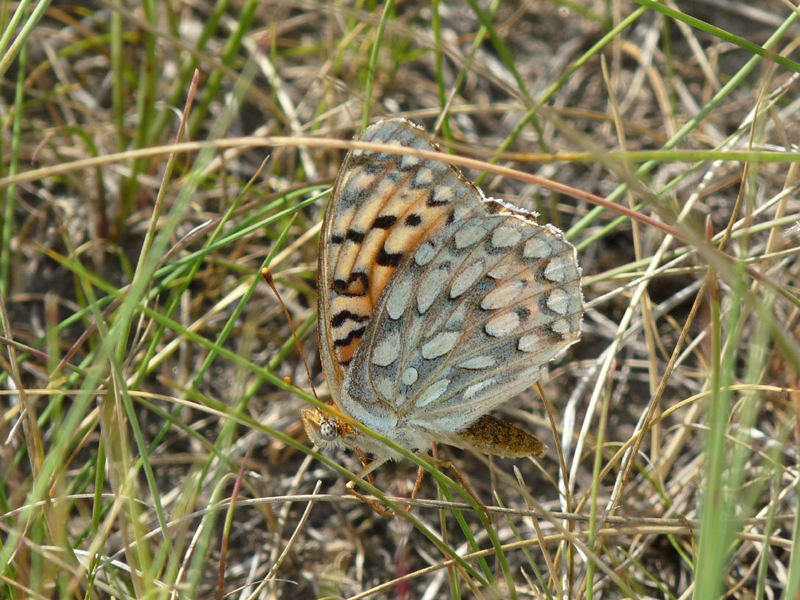 They are an impressively large copper and it was a treat to finally see one! This Dione Copper is a female based on the extension of the reddy-orange markings onto the forewings. 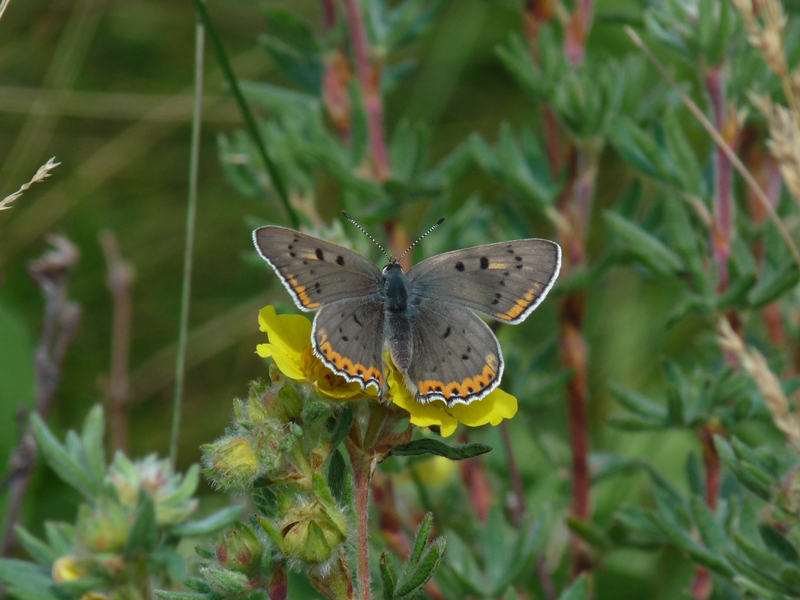 She has landed on Shrubby Cinquefoil (Dasiphora fruticosa floribunda), making for an excellent shot! 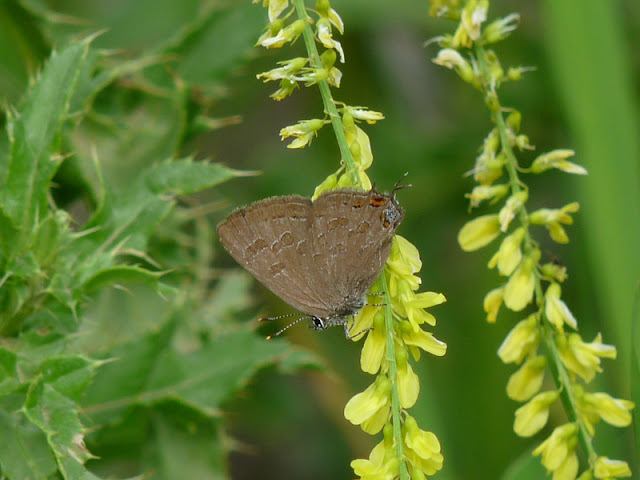 The Dione Copper unfortunately only put in a brief appearance before vanishing, but I followed it up with a nice Coral Hairstreak (Satyrium titus). As I about to go in for photos, I was approached by someone that I assumed was a fellow hiker. Apparently we had wandered off the Friendship Trail and ended up on the Unfriendly Homeowner Trail. Who knew? I said that we didn't see any signs and her response was "We can't put up signs everywhere." Well, a couple beside a public trail might not be a bad idea! When we got back down to the Friendship Trail proper, I found a Police Car Moth (Gnophaela vermiculata) that was cooperative and let me get a couple photos. That was the end highlight of Black Diamond as the area, according to the homeowner, lacks any public parks until you get into Kananaskis Country recreational parks. With Black Diamond not panning out the way we expected, I was hoping we could get back to dry grasslands. Jamie looked on his iPhone and saw some nice looking arid country around the town of Gleichen. We drove for around an hour and a half to get into some fantastic habitat. We were a little concerned about land ownership after the last place and from a sign indicating we were entering Siksika Nation land. We pulled off on a side road and decided to stay close to the road. A couple trucks with First Nations drove by and both times we met with a wave and a nod. 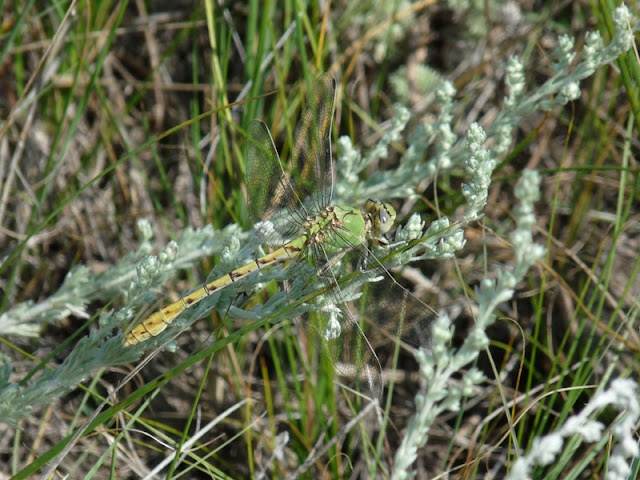 That was encouraging, so we roamed around the prairie and enjoyed many great sightings. The first indication that we were in different habitat was the presence of Scarlet Globe-Mallow (Sphaeralcea coccinea) right at the roadside. 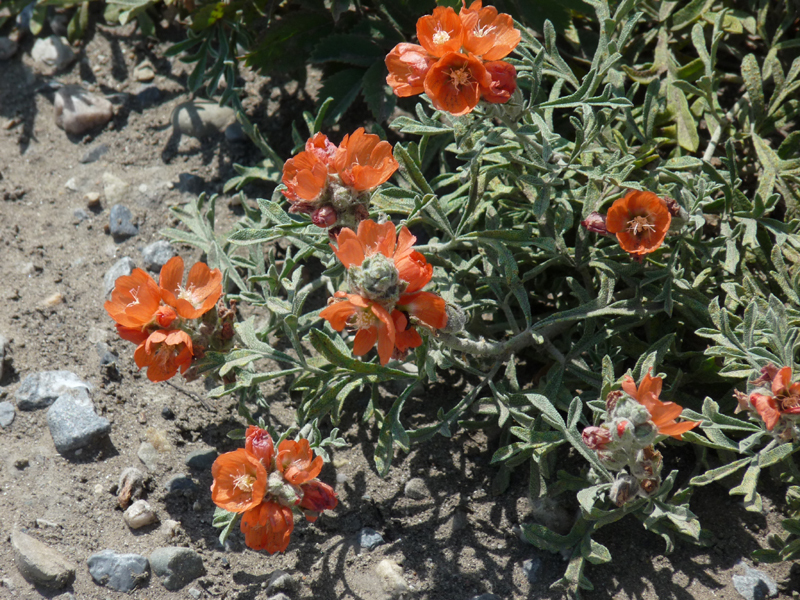 I was happy to see more Dotted Blazing Stars and Prairie Coneflowers because I missed my opportunity to photograph them in Drumheller. 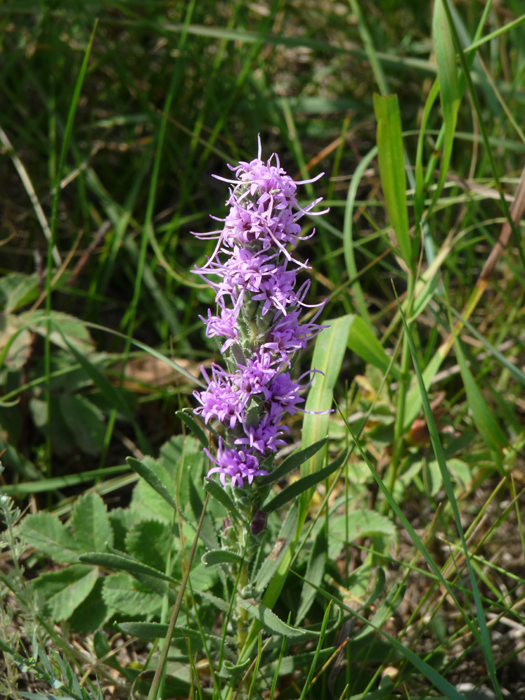 I'm not doing this Dotted Blazing Star any justice whatsoever! While enjoying the plants, Jamie called over "Do you hear that? Sprague's Pipit!" Sure enough, the ethereal, cascading song of a Sprague's Pipit (Anthus spragueii) rang out nicely over the prairie. I searched the skies for a couple minutes to see if I could lay eyes on the displaying bird and eventually managed to see a dark spot against a white cloud. The pipit was significantly higher than its ventriloquial song led you to believe. I got the bird in my binoculars and it was still appeared tiny, but I was able to see it alter its flight before each burst of glorious song. Apparently Sprague's Pipits have the longest aerial display of any bird species, lasting up to 3 hours! 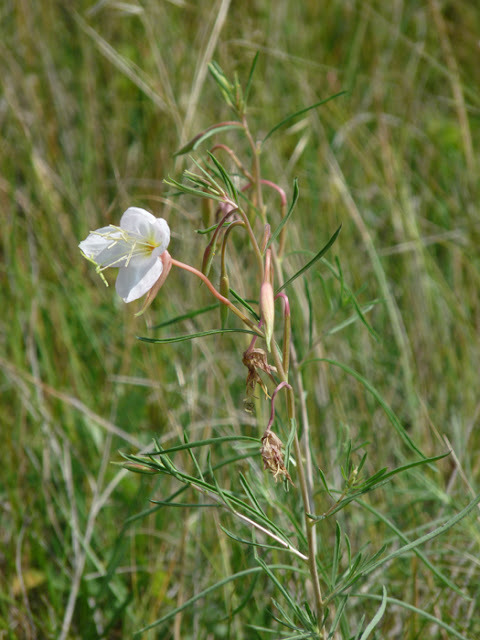 I continued wandering the prairie in search of interesting plants and just as it seemed we had all the obvious plants covered, I noticed a tall, white-flowered evening-primrose, which turned out to be the appropriately named White Evening-Primrose (Oenothera nuttallii). 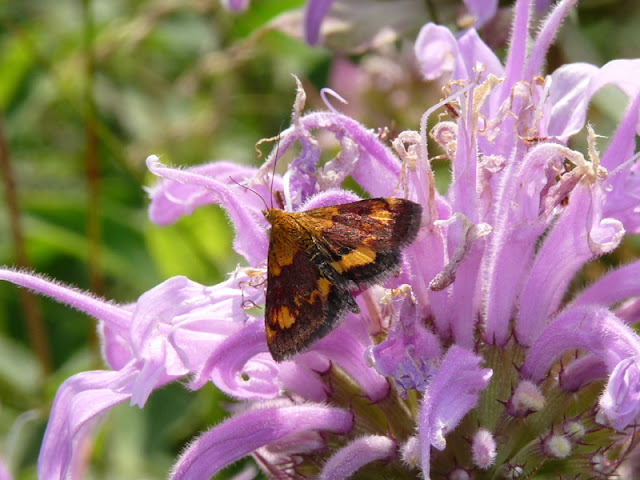 I had been looking for skippers in the prairies and specifically I was really hoping to see Uncas Skipper (Hesperia uncas). 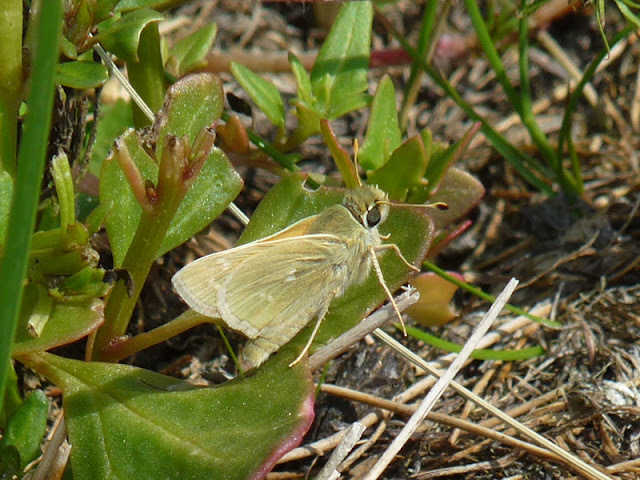 As Jamie and I walked around the edge of a prairie pothole, a skipper flew up and darted around just over the grass. We managed to track it until it landed and took a couple photos. We could tell it wasn't the desired Uncas Skipper, but rather appeared to be Plains Skipper (Hesperia assiniboia). 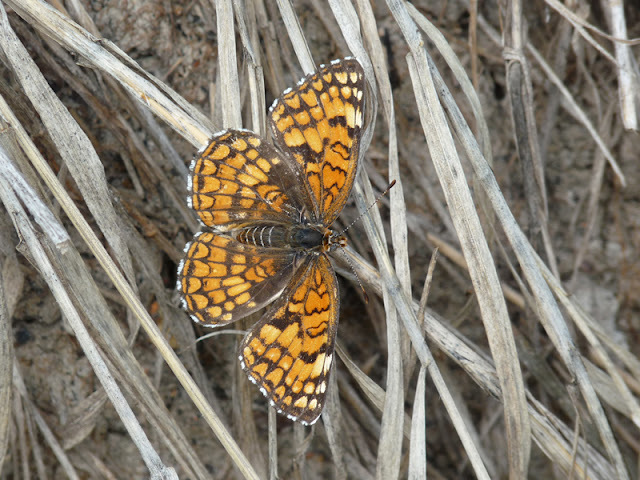 This was a new butterfly for Jamie, but I saw a couple when I worked in Dawson Creek many years ago. 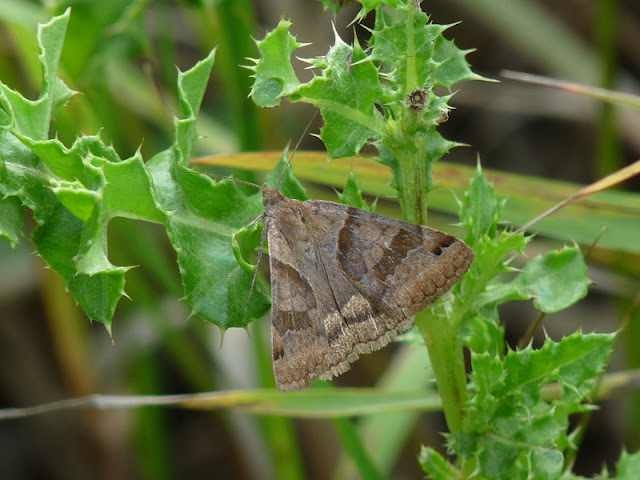 The individual I photographed had a very plain ventral surface to the hindwing and was quite different from my memories of them. 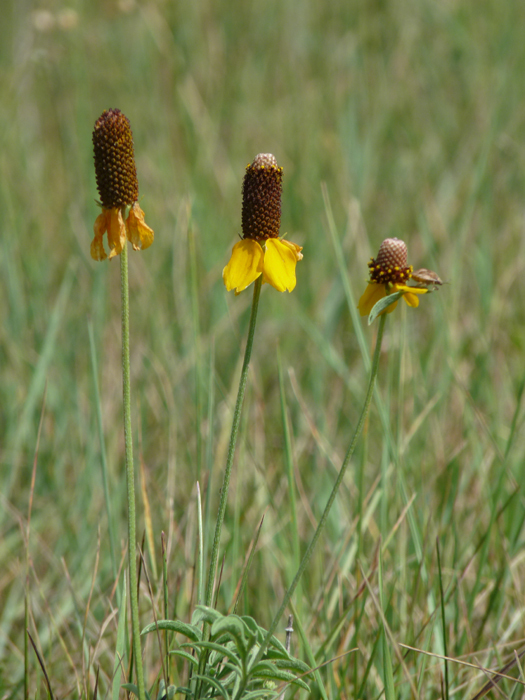 We finished our time at in the natural prairie by walking along the roadside and scanning patches of nectar plants for butterflies. We had several interesting sightings in a short period by doing this, including a couple Pale Snaketails (Ophiogomphus severus), Callippe Fritillaries (Speyeria callippe), Aphrodite Fritillaries (S. aphrodite), a Little Arches moth (Drasteria petricola), and an Orange Mint Moth (Pyrausta orphisalis). 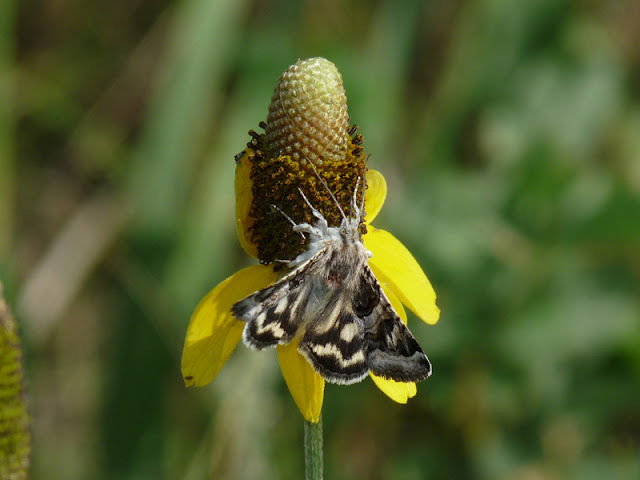 This beautiful Little Arches moth was found nectaring on Prairie Coneflowers - amazing combination! We managed to pry ourselves away from the amazing prairie habitat and decided to try a couple other roads we passed earlier. The first one was largely fruitless, but a family of Loggerhead Shrikes (Lanus ludovicianus) was very exciting to come across! 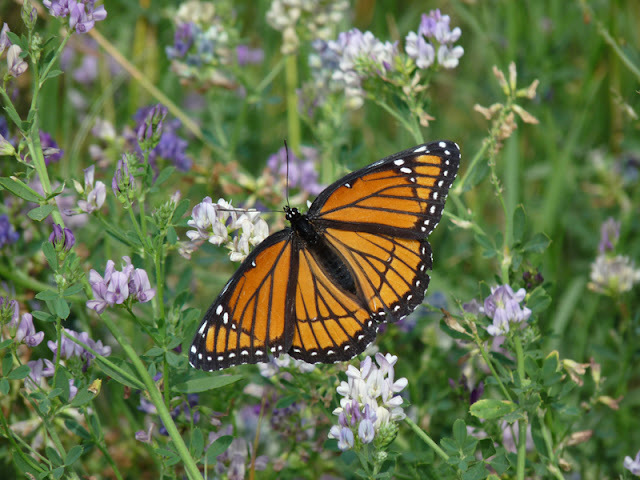 The next road we went down was also pretty similar to other places we had visited, but Jamie spotted an absolutely gob-smacking Viceroy (Limenitis archippus) nectaring on Alfalfa (Medicago sativa). 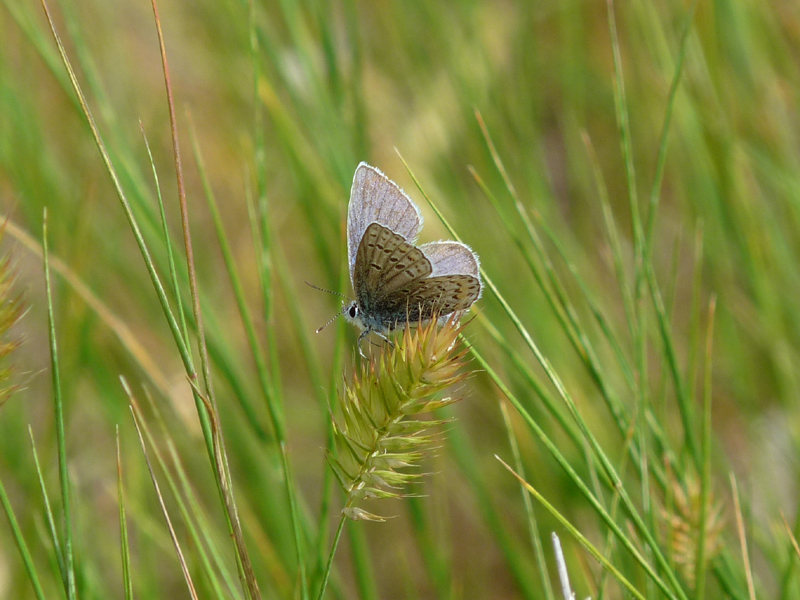 Additionally, we had a blue that we tried to turn into a Shasta Blue (Plebejus shasta), but had to concede it was just the more familiar Melissa Blue (P. melissa). 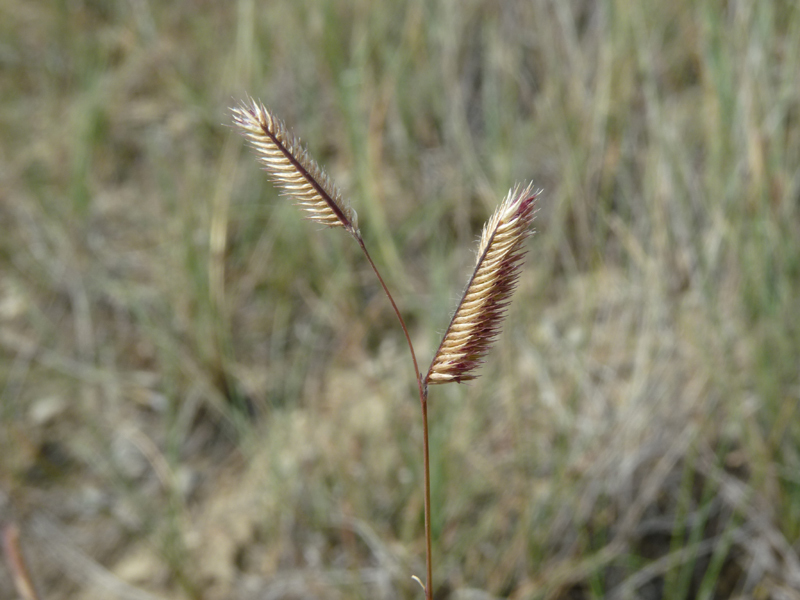 I also took the time to take a shot of Blue Grama (Bouteloua gracilis), which is a major component of shortgrass prairies in the Great Plains. 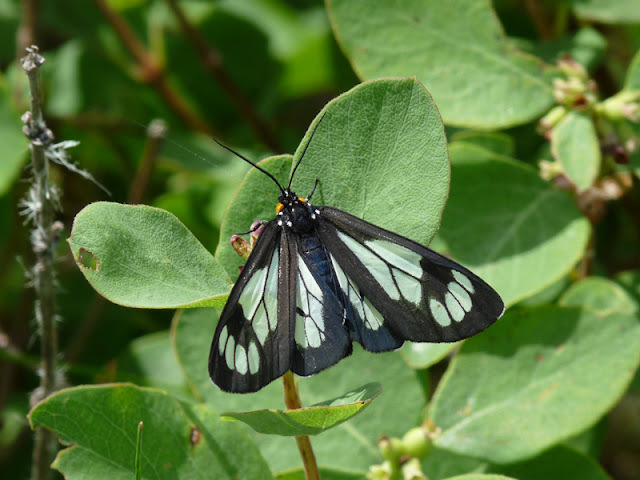 Viceroys evolved to have a pattern similar to Monarchs (Danaus plexippus) as form of Müllerian mimicry. This form of mimicry involves two or more poisonous species whose warning signs to predators have evolved to resemble each other. It was formerly thought that Viceroys were edible to predators and employed Batesian mimicry to avoid being eaten by looking like Monarchs. This has since been disproved and replaced by the Müllerian mimicry theory. That was the last stop of our tour of the prairies around Calgary. Looking back over the photos and reflecting on all the species encountered during those two days, it was a great break from work. It may have superficially resembled my work, but it was different. I will definitely be looking for another opportunity next year to visit this area (and further southeast) next year.